Celebrate with Pogo – Happy National Senior Citizens Day! Celebrate National Senior Citizens Day on Pogo! Today is National Senior Citizens Day, and naturally we’re celebrating. First established in 1988, Senior Citizens Day is dedicated to honoring the past, present and future contributions of older Americans. We’re marking the day with some relaxing fun on the green, and a few beloved classics. Start by enjoying some triva fun in Trivial Pursuit: Daily 20. 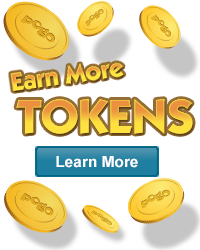 Bonus Tokens are waiting for you. MONOPOLY is also a little richer than usual, and Jungle Gin is equally bonus-packed for our Club Pogo members. To all our senior members: we hope you have an amazing day! Play daily episodes of the trivia questions that will have you coming back for more. It’s the Classic Game of MONOPOLY you Know and Love! Play Jungle Gin, a tropical twist on the classic card game of Gin.